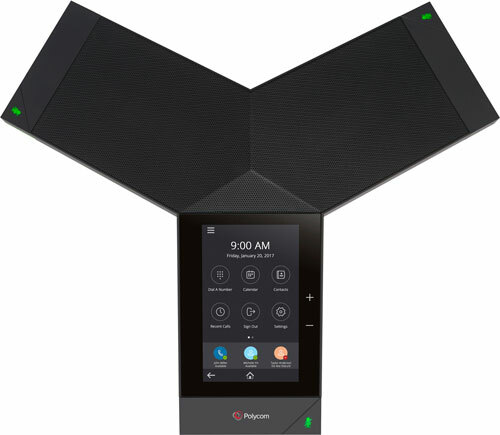 Polycom Trio 8500 brings to the midsize conference room the exceptional audio quality and simple management that distinguishes its larger sibling, Polycom Trio 8800. 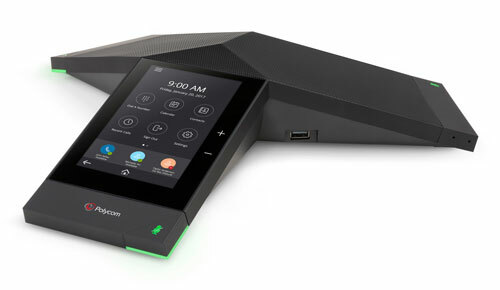 Trio 8500 is the newest three-point conference phone from Polycom, released 25 years after Polycom first unveiled their famous design, an ingenious solution that allowed for 360° microphone coverage and delivered iconic style. 25 years on Polycom is packing the most advanced business conferencing technology into the 8500, giving you the premier conference call experience for small to midsize meeting rooms. 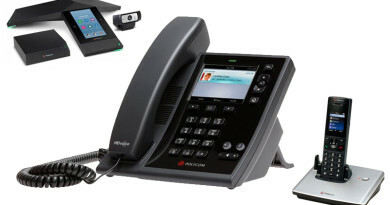 Today, we’re going to take a closer look at the new Polycom Trio 8500 conference phone. 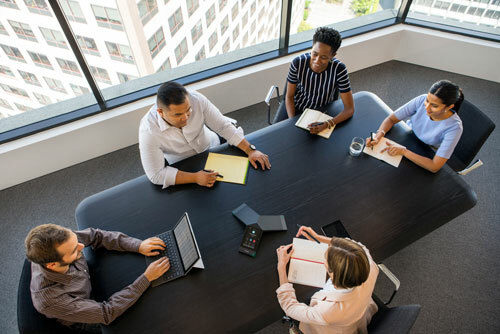 A conference phone exists to do three things well: clearly capture the voice of each participant, deliver clear audio within the meeting room, and connect to far endpoints. Polycom Trio 8500 does the fundamentals incredibly well. Over the past two years, new users of the Trio 8800 have been shocked again and again by how good it sounds, saying it’s good enough to play music through. The tinny, pragmatic sound that most of us know so well is a thing of the past. Trio 8500 is part of the Polycom Trio family, so it provides the same class-leading audio quality. Polycom are experts at 360° audio. The three cardioid microphone array integrated into the sleek new design captures wideband audio in every direction. Audio is delivered using one of a selection of standard audio codecs, including the increasingly popular, adaptable Opus codec. The speaker delivers audio in the frequency range of 180 Hz to 14 kHz, a wideband spectrum that sounds full and natural, not thin and mechanical. Even better, Polycom includes advanced technology engineered for enhancing conference calls. 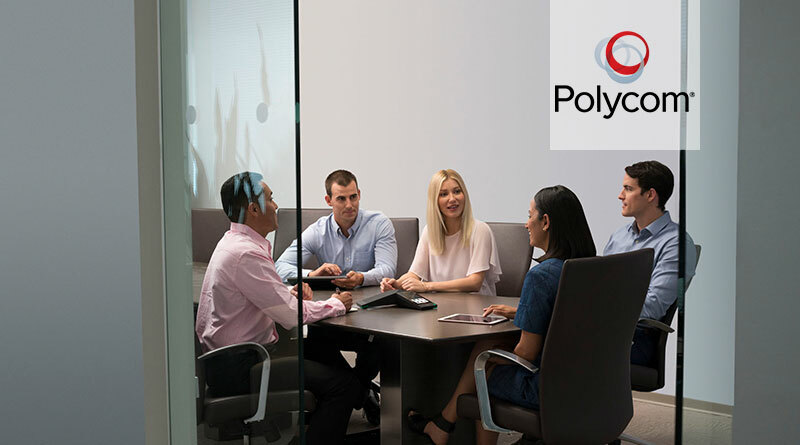 Polycom Acoustic Clarity improves full-duplex conversations using echo cancellation and background noise suppression. 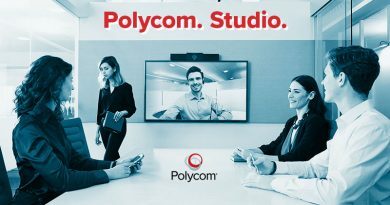 Polycom NoiseBlock is a class-leading technology for detecting and eliminating non-participant noise, going a long way to solving an eternal conferencing problem. So Trio 8500 nails the first two conference phone fundamentals. How does it do with the third? A conversation is nothing if no one’s listening. With phones, that means you need to connect to another endpoint. With VoIP phones, there are quite a few competing platforms with different technologies that mean not every VoIP phone works. The Trio runs the most popular open communications standard, SIP, which means your investment is compatible with the broadest selection of VoIP platforms currently out there. Your phone calls run through the IP network with signaling handled by either on-premise IP-PBXs or cloud service providers. Reliable and simple to manage, IP phone systems are becoming the standard in modern offices. Apart from SIP, many companies are choosing Microsoft’s communications platforms. Polycom Trio 8500 has worked closely with Microsoft to certify it for use with Skype for Business and Microsoft Office 365 Cloud PBX. Skype for Business is steadily growing in popularity among businesses of all sizes, because it provides a reliable unified communications system that is full-featured yet easy to use. Cloud PBX gives you cloud-based telephony support through Microsoft’s familiar enterprise platform. Trio 8500 enhances Microsoft’s offerings. Consistency across devices is an incredible advantage, because it reduces confusion, training time, and incompatibility. Trio 8500 can take on the familiar sky blue interface Skype, extending a consistent experience across every platform. More importantly, it allows you to access a wealth of Skype for Business features directly on the conference phone. On top of this, the Trio works with Microsoft Exchange to give you a one-step-to-join meeting experience through calendar integration. Between supporting the open SIP standards and Microsoft’s systems, Trio 8500 supports the two primary communications platforms used in business today. 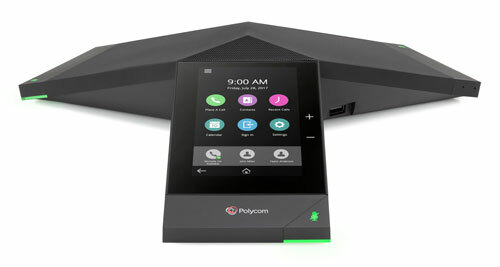 So Polycom Trio 8500 also nails the third fundamental: connectivity. Trio 8500, however, goes well past nailing the fundamentals. Business-oriented SIP systems offer deep feature-sets. What is essential in the enterprise is different from what you might see in the latest iPhone commercial. Instead of fancy texting effects, you need security, reliability, durability, scalability, and flexibility, all in a device that is easy to administrate. Communications is a mission-critical feature for workplaces. Polycom has been designing for the enterprise since their inception, and this focused expertise shines through every facet of the Trio 8500. You get advanced security and administrative controls. Of course, it’s nice if these features are accessible to every user. On the 8500 you access these features using an intuitive, smartphone-like interface. When people say “intuitive control,” what do they really mean? They mean a familiar interface that you can’t help but use correctly. The interface guides the user rather than hinder. Trio 8500 has a beautiful 5” display with capacitive multipoint touch support. The HD display has the familiar 16:9 aspect ratio of most smartphones, with a gesture and icon-based interface. This means almost every can access enterprise features with a tap or two. An increasing number of offices are going BYOD, which stands for Bring Your Own Device. Workers have their own smartphones, tablets, and even computers that they want to use. They expect you to accommodate their devices, which can place a serious burden on administrators, who need to offer business-class features and security to a dizzying array of personal devices. Trio is designed with the BYOD office in mind. Users can connect wirelessly using Bluetooth or using a USB cable. They connect directly to the conference phone, and through that they get the wideband audio and secure connectivity of the business phone system using their own device. 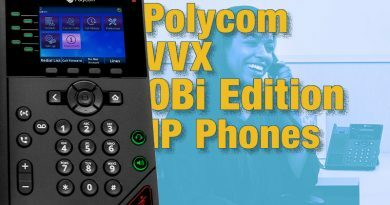 25 years into building conference phones, Polycom knows what users want today. Trio 8500, however, is also built for what users will want tomorrow. 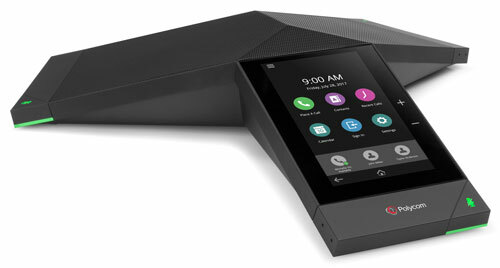 With the Trio family of business conference phones, Polycom has engineered a modular conference solution with tech that delivers a more future-proof device. What you buy today improves with time. One example is support for a 1080p Full HD camera. Because it saves on travel time while retaining the intimacy of a face-to-face conversation, video conferencing is becoming more and more popular for business. Trio 8500 already is the perfect choice for small to midsize audio conferences. Come Q4 of 2017 (as of now), your Trio 8500 will receive support for a USB camera that lets you get the exceptional audio quality of the conference phone for video conferences as well. Polycom Trio 8500 is an exceptional choice for any business looking to get the best in business conferencing, today and tomorrow.